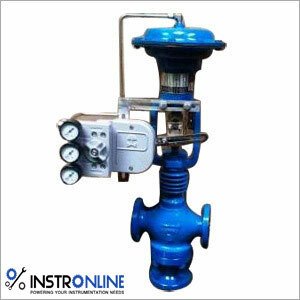 Gate valve should ideally be used as on-off valve. It is not advisable to use them as throttling valves because in partly open conditions, erosion of gate might take place. In partially open consitions, due to vibrations, valve is exposed to quick wear and tear. Also, during closing and opennig, there is considerable amount of friction and hence, opening and closing these vales quickly and frequently is not possible. Pinch valves consist of a plastic tube/sleeve which is made up of reinforced elastomers. The sealing/ closing action is achieved by throttling or pinching this sleeve/tube. Pinch valves are best suited for handling slurries and fluids having suspended solids. Pinch valves offer many benefits over the other types of valves. They can be used for handling corrosive fluids as there is no contact between the fluid carried and the actual valve mechanism. Once suitable sleeve material is selected, this valve can work with a variety of fluids. As fluid being carried does not come in contact with the metal parts, these valves can be used for food grade applications also. 1. After a float trap- Steam traps are passive device and work on the principle of the pressure difference. During operation, process pressure might go under the back pressure after trap. In such situations, because of the negative pressure across trap, condensate might go back into the process equipment through the trap. Hence, it is always advisable to fix a disc check or non-return valve after the float trap. This check valve will allow the condensate to flow from the trap outlet to the condensate recovery system but will ensure that it does not flow in reverse direction. 3. Disc check valves as vacuum breakers- Disc check valves, when fitted in a reverse way, can act as vacuum breakers. While being used as vacuum breakers.